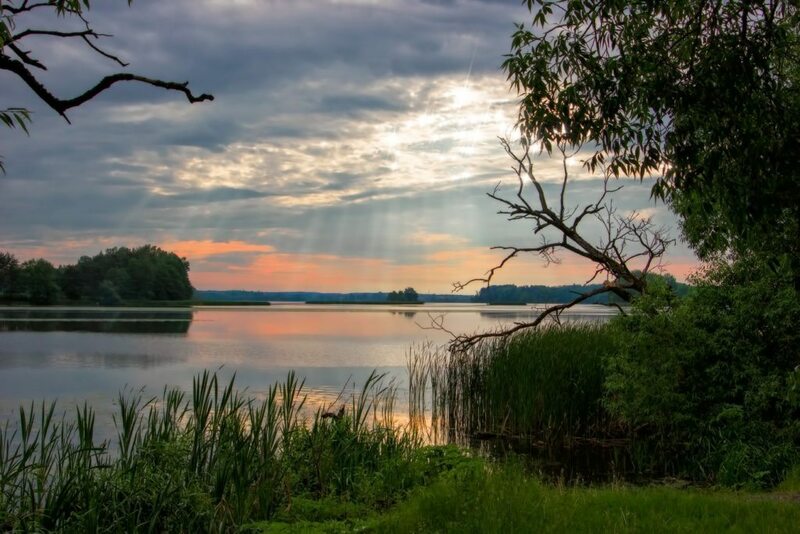 Nature has generously awarded Belarus with a large number of rivers and lakes, giving, thus, the residents and guests of the country scenic destinations. All lakes and rivers are of glacial origin and were formed due to the melting of a large Valdai glacier 13 thousand years ago. Today, there are more than 20 thousand rivers on the territory of Belarus. Together, they account for slightly more than 90 000 km. Most often you can find small rivers of length not exceeding 100 km. Nevertheless, there are nine large rivers in the country. They are Berezina, Dnepr, Sozh, Pripyat, Neman, Dvina, Bug, Goryn, and Vilia rivers. Most lakes are on the north and northwest of Belarus. This area is called the Belarusian Lakeland. The largest lakes are Naroch, Chervonoe, Osveyskoye, Drisvyaty, Lukomskoje, Drivyaty, and others. Naroch Lake is ideal for fishing enthusiasts (there are about thirty species of fish in its waters), as well as for leisure tourism. There are many children's camps, among them, the well-known "Zubrenok" since the Soviet times, as well as health centers and recreation centers. Naroch Lake is the main health center of the country! Even the most experienced travelers will be amazed by the beauty of these places. And, one of the most beautiful rivers in the country flows out of the lake. It is called Narochanka River. The water in the river, just as in the lake, is very clean and clear. Narochanka River is an interesting option for summer kayaking. The second well-known destination for swimming and fishing enthusiasts are Braslav Lakes. Here are the deepest lakes in Belarus: Southern Voloso (40.4 m depth), Northern Voloso (29.2 m), Uklya (25 m) and Strusto (23 m) lakes. The largest lakes by area, Drivyaty and Snudy are also situated here. Fragrant forest air and clean water, favorable mild climate - it is the perfect choice for holidays and ecological tourism. You can stay in a tent on the beach or rent a house in a picturesque place to escape and relax from the urban bustle. One of the most beautiful forest lakes in the country is Svityaz, "romantic" lake, is surrounded by great fame. It was due to numerous legends that are known to this day. According to them, on its site once stood a city of the same name, and the lake has arisen because during the siege of the settlement, the residents have decided that it is better to perish than to live in captivity. And the city went under water. Zaslavskoe reservoirs, visit the Ptich and Volma Rivers, while Isloch is a very popular place among fans of kayaking. 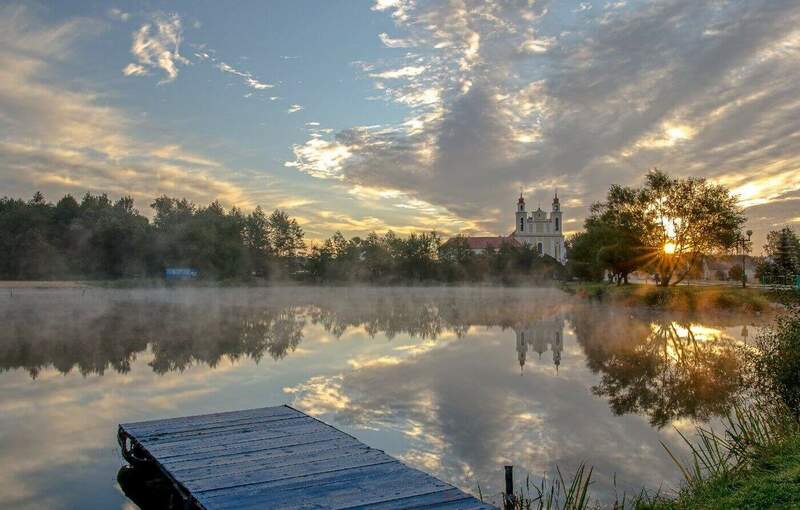 Another attraction of Belarus is the "Blue Krynica" spring (also known as "Blue Well"), which is located near the town of Slavgorod, Mogilev region. The water is perfectly clean, and comes from a two hundred meter depth to the surface, thereby creating ideal conditions for the construction of health centers around the spring. 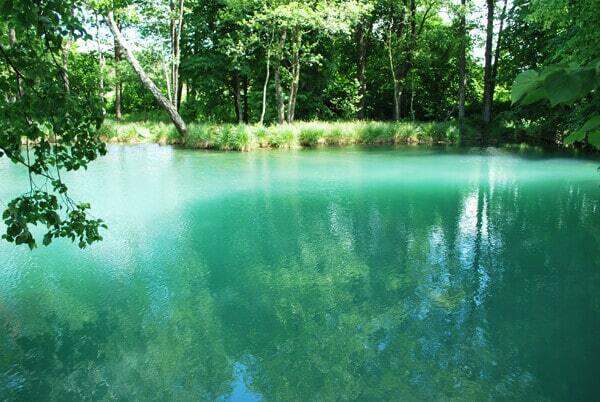 "Blue Krynica" is the largest spring on the territory of Eastern Europe. Pure water has a depth of 200 meters with the flow of 60 liters per second, giving the beautiful lake a bright turquoise color. In August, the Makavie religious holiday passes near the source, gathering a lot of believers.